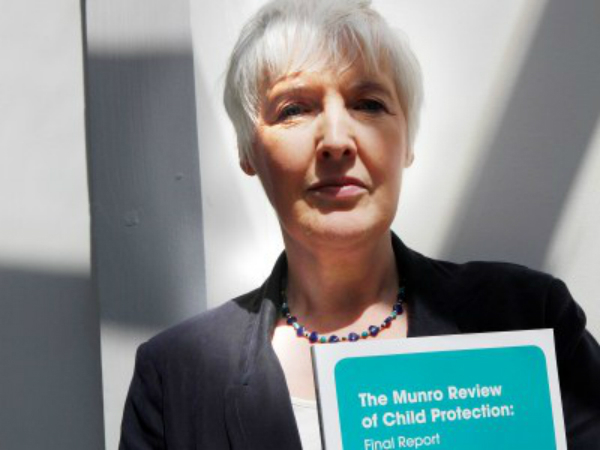 Professor Eileen Munro has withdrawn her backing for controversial ‘innovation’ powers in the Children and Social Work Bill after concluding they pose a “serious danger”. Munro, whose landmark review of child protection was published in 2011, said government plans to allow councils to seek exemptions from social care legal duties to test new ways of working will create more dangers than benefits. Ministers have regularly cited Munro as a supporter of the innovation powers, relying heavily on a statement issued last year where she signalled support for the plans. However, last night Munro revealed her change of heart. In a message to MPs, seen by Community Care, Munro said: “I have been reading the debates in Hansard and the submissions about the Social Work and Children Bill. I’ve also been meeting with some of those who oppose the bill and I have reached the conclusion that the power to have exemption from primary and secondary legislation creates more dangers than the benefits it might produce. “I saw the exemption as allowing the opportunity to test new means of achieving the will of Parliament as expressed in the Children Act and related legislation. The projects would be in the spirit of the legislation and would not override the will of parliament. Munro urged the Department for Education to pursue a “less ambitious but still useful reform” by going to parliament to amend “specific laws or regulations” that are blocking innovation, rather than introducing the broader exemption power. The intervention by the leading child protection expert marks a blow to the government weeks after it won a crucial House of Commons vote to get the innovation powers restored to the bill. Peers had previously voted to remove the clauses from the legislation. The government has faced fierce opposition to the plans from Labour and a group of social care organisations, including the British Association of Social Workers (BASW). A BASW survey of more than 1,000 social workers found 76% opposed the exemption clauses. Campaigners called on ministers to scrap the plans in light of Munro’s comments. Carolyne Willow, director of children’s rights charity Article 39, said: “The death knell has finally sounded for this appalling attack on children’s law and Parliamentary sovereignty. “From the start, ministers claimed their dangerous plan to test out the removal of legal protection from vulnerable children and young people had the backing of Professor Munro. Well now she has walked away. Willow’s charity is a founding member of Together for Children, a coalition of more than 50 organisations opposing the plans. This week the group published an analysis of expert evidence submitted to the committee of MPs scrutinising the Children and Social Work Bill. The report found only one of the 47 submissions concerning the exemption clauses backed the government. Responding to Munro’s intervention, the Department for Education said the innovation clauses were never intended to undermine children’s rights and pointed to a series of government amendments to the bill that built in additional safeguards to the approval process for exemptions. Thank you Professor Munro. On a more general point I am unsure if for example support for the Amendments Proposed by Government are a potential breech of HCPC Standards. thank you, someone standing up for a principle, instead of being run roughshod by the government or colluding with them as with Isabelle – respect to Eileen Munro. Thank you for having the bottle to stand up and admit a change in view. Thank you too for your support and maybe now the government will listen as it doesn’t seem to be listening to the profession. Pity our Chief Social Worker can’t stand with us too. At last! The ‘innovation’ powers as per the C and SW Bill were not what Munro was suggesting. Good point re HCPC Sean. So let me just clarify: if the revered principle social worker says these proposals are dangerous and yet she previously advocated strongly in favour of them, doesn’t that mean she advocated strongly for (and wanted us all to embrace) acting dangerously and therefore should now refer herself to the relevant professional standards body as a person unfit to be responsible for children’s welfare? I was astonished when Eileen was quoted as supporting these clauses and am mightily relieved to see this rethink. One hopes the remaining few voices in favour (triboroughs etc.) seriously reconsider their position too. Why was she supporting this in the first place! Thankyou Eileen Munro for standing up for the Social Work profession. What these proposals showed, was that successive governments and LAs motive, in their continuing push to create statutory orphans, with record and increasing numbers in care, was to make private profit out of the adoption, which pays £30,000 minimum per adoption and fostering and not child protection . Why else would LAs want to avoid liability, if not because of the fear that at 18, these children would sue them, for the abusive care they had received, if, as it should have been, this care was, as legally it was supposed to be, in their best interests/welfare. information that may disconfirm or refute it. 4. Insufficient weight is given to information from family, friends and neighbours. The change of heart is to be welcomed. We do not want Munro to be a clone of Trowler. Whilst exploring the evidence, one fundamental thing appears to have been overlooked, the extent to which abuse is endemic within the social care & safeguarding system. The extent to which procedures & legislation have provided a convincing rhetoric & assessment framework that undermines safeguarding is well evidenced by the reality that such as Peter Righton (et al) have influenced the evolution & thinking around social care practice & the extent to which vulnerable children have been targeted & subsequently exploited to devastating consequence. I have a lot of respect for Munro, but consider this a failure to consider the evidence that stares us in our faces, children are no safer in the social care system than they are out of it. I thought Munro was better than this, I thought she was insightful enough to hear the voice of the child & family abused by the system & not bow down to social pressure. I was wrong!